Get These Channels for FREE! 100% free with our TV antenna. Choose this TV antenna for best results! WARNING: These results are only an estimate and every home is unique in terms of its terrain, obstacles, and installation details which will impact reception. These indoor antennas are smaller, cheaper and typically not amplified. They however do not work very well when channels are being broadcast further than 20-30 miles away from your home. These indoor antennas very similar to the indoor ones, but are usually amplified (boosted) with power. They work best when trying to capture channels that are being broadcast within 30-50 miles of your home. These outdoor antennas have better range (30-70+ miles) and are typically mounted on a roof or inside an attic. These powerful antennas work best if when you need one antenna to power your whole home. These outdoor antennas are typically mounted very high on a roof or on a pole and rotate with a remote controller. These powerful antennas work best if when you have TV signals coming from completely different directions. Are these channels guaranteed to come in with the recommended antenna? 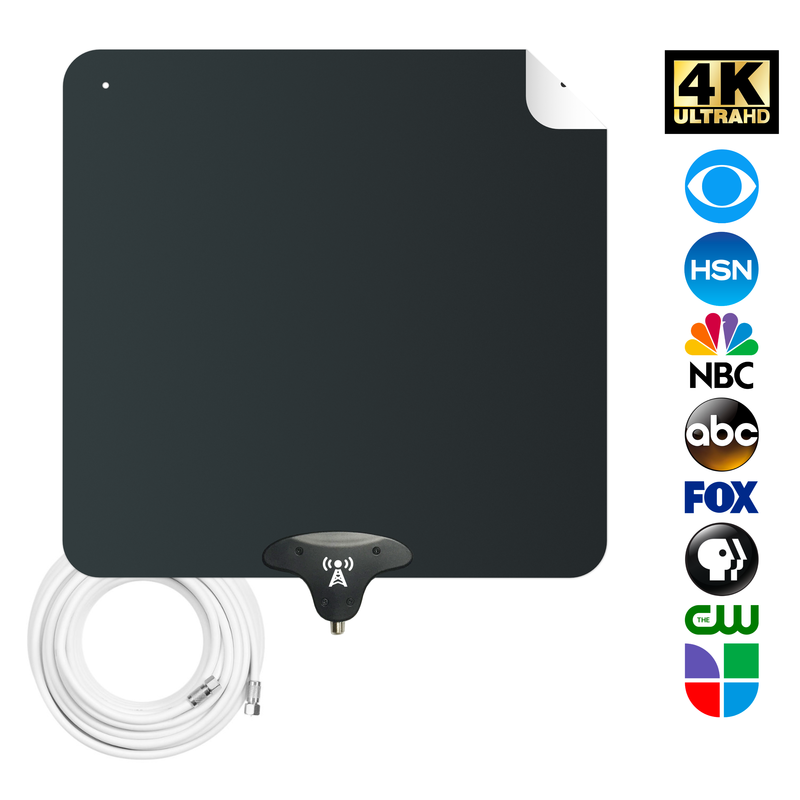 Do I need one antenna per TV? For indoor antennas, you should have one antenna per TV, however sometimes you can split a strong signal effectively between two TVs. 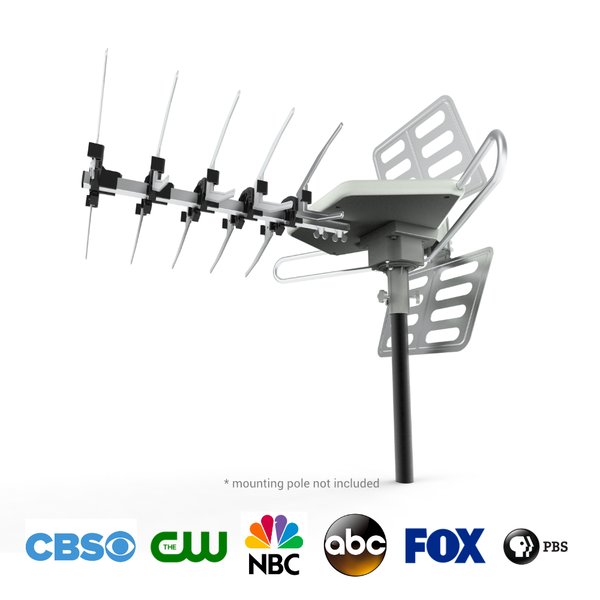 Outdoor antennas typically can support anywhere from 1-4 TVs depending on the antenna model and wiring of your home. Do I need to cancel Cable TV before trying an antenna? No, and in fact we would suggest against it. Buy an antenna that has a free return policy so that you can return if your home is not receptive to over-the-air signals. Every home is different, so it may take some work to get good signal. Why all the distinct types of antennas? The distance between your home and the broadcast channels matter. Living too close and using an amplified antenna can do more harm and create static in your picture. Outdoor antennas are great when you can mount it outside. Are there any additional fees with OTA TV? No! This is the best part about free over-the-air TV. Once you buy the antenna, it should last you many years and you will never have another monthly cable tv bill again! Will indoor antennas work in my basement? Possibly. The only way to know for sure is to try it. Typically a window gives you the best chance at crystal clear reception, but other setups have been known to work as well.